Schedule recordings of Freeview television and radio via an intuitive electronic programme guide and never miss a programme thanks to Planet eStream’s flexible buffering. 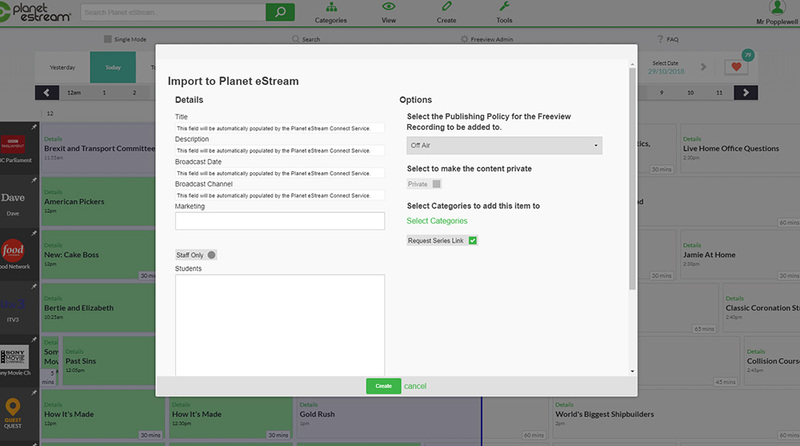 The Planet eStream Freeview Scheduler enables teaching staff to schedule or request their own recordings which reduces the overhead on IT staff. The system will constantly buffer your selected channels for up to 21 days, which reduces the chance of valuable resources being missed. Please note all features advertised on this page are available to United Kingdom clients only due to UK licensing laws relating to broadcast TV content. 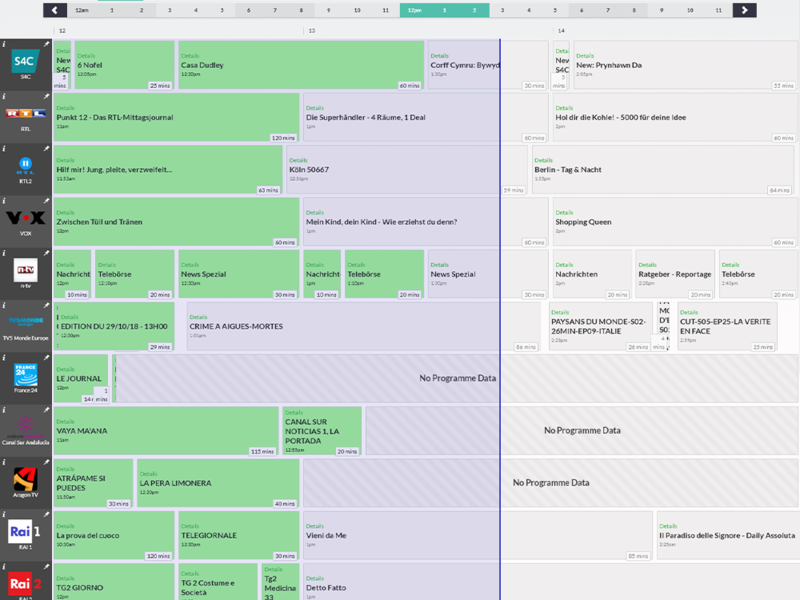 The Planet eStream TV Scheduler is built around a simple web based electronic programme guide (EPG) that will be familiar to your users for ease of use. The scheduler offers your educators an easy way to record their own curriculum relevant TV and radio content to use as learning resources. Once content has been recorded, it is automatically stored in your Planet eStream media library and is accessible on demand. Users can access the scheduler from any device including iOS and Android without the requirement of bespoke applications. Your users can schedule programmes that are due to broadcast in the future or retrospectively record any programmes that have already aired. With over 21 days’ worth of broadcasts from 79 channels there is a lot to choose from, the programme guide search tool assist educators in finding content. Using keywords, they can search the titles and descriptions of all available broadcasts to find relevant programmes to record. Your users will have access to 37 pre-selected channels that buffer all programmes for up to 21 days enabling your users to retrospectively tag a programme to record. 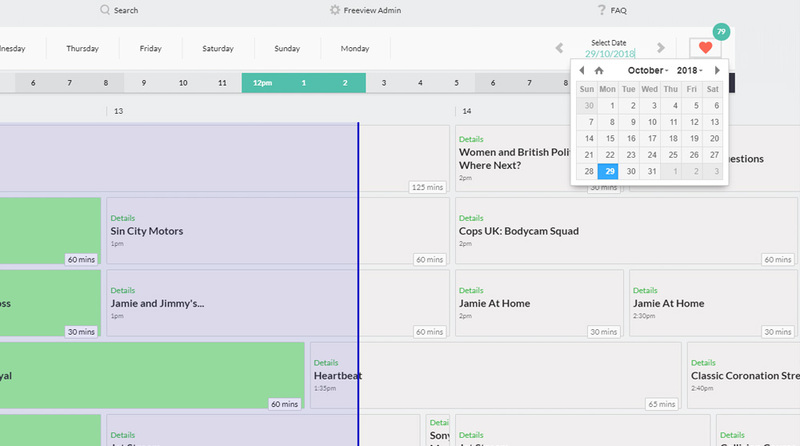 The ability to search the programme guide and take advantage of features such as ‘series link’ make scheduling recordings easy and reduce the chances of key programmes being missed. The buffering capability of Planet eStream is a fantastic resource and a great way of making sure that your educators will never have to miss out on recording curriculum content. Single Mode enables users to quickly and easily see a single days listing from one channel. Selected satellite channels are available via the Planet eStream TV Scheduler electronic programme guide (EPG). Educators can schedule and add recordings from these channels to their own Planet eStream media library. Just like standard Freeview channels, the satellite channels are cached to allow users to add previously aired programmes and, where available, schedule programmes to be added in the future. Subtitles are imported from channels that broadcast them and all recorded programmes are also made available via the Planet eStream Connect archive. All recordings will automatically include the subtitles where available and viewers will have the option to toggle these on and off. The Planet eStream Subtitle Search tool enables your educators to search the spoken words within subtitles for a keyword and the search results returned will provide the exact location in the video where the keyword is featured. This feature is great for creating really targeted playlists and chapters to support a specific learning objective. 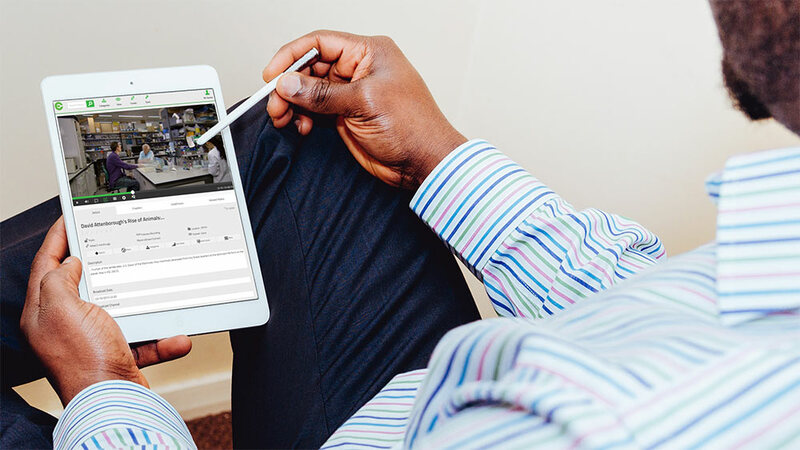 See how Planet eStream lets you record from over 70 TV and Radio channels and access an archive of over 2 million programmes.